As the hulking gray vessel sluiced through Boston Harbor, all of the elements were in place for a stunning day at sea: clear blue skies, a light breeze, and calm waters. The only thing missing was a driver. The era of autonomy is upon us, with driverless cars, airborne drones, and robot vacuums programmed to seek out and destroy dust bunnies. So perhaps it’s inevitable that maritime engineers are beginning to develop unmanned boats for commercial use as a safer, cheaper alternative to having humans steer vessels into dangerous situations. 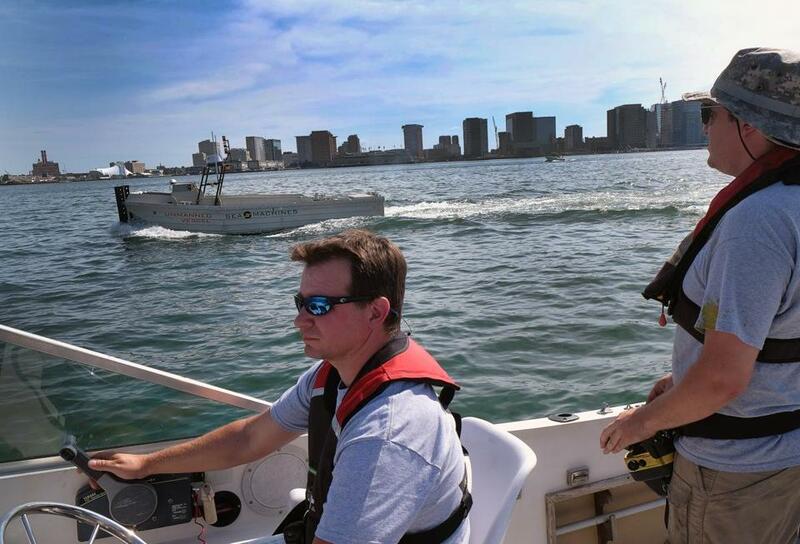 The boat turning heads in the harbor earlier this month was a prototype created by an East Boston startup called Sea Machines. Its team is developing the technology to help convert ships into drones that can be controlled remotely by their captains or programmed to operate autonomously, patrolling harbors for security purposes, or ferrying cargo back and forth. They’re targeting the commercial maritime market, hoping that tugboat operators, oil rig overseers, and fishery mangers might want to add a robotic mate to the crew. The cofounders met while responding to the wreck of the Italian luxury ocean liner Costa Concordia after it ran aground in 2012. While working to salvage what they could from the sinking ship, Lorman witnessed a crowded mess of boats zigzagging through the shallow waters, each with its own crew, he said. This concept isn’t exactly new on the open ocean. Marine scientists at places like the Woods Hole Oceanographic Institution have developed remotely operated underwater vehicles that allow them to explore the floor of the sea from the deck of a ship. And the Navy has been using its own forms of automated vessels for over two decades, first for target practice, then for military drills, said Larry Dickerson, an unmanned systems analyst for the Forecast International aerospace and defense firm. He estimates that driverless boats are a $6 billion industry, which might explain why major players like Rolls-Royce are hopping on board. In March, the company unveiled plans to develop a land-based control center that would need only a dozen people to orchestrate the movements of an entire a fleet of cargo ships as they carry goods around the world. And they hope to allay fears that robot boats would take jobs from humans, saying they could instead help fix the looming shortage of merchant mariners that the United States may soon face. In March, the head of the Maritime Administration issued a warning: The country will need 70,000 more people to support the maritime fleet by 2022. 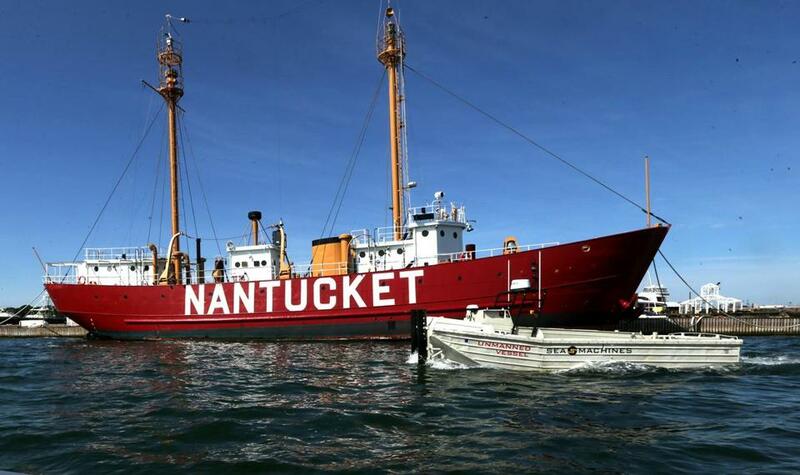 An un- manned boat cruised Boston Harbor in a test run.